You are here: Home / Chicken / Perfect Crispy Oven Fried Chicken! Perfect Crispy Oven Fried Chicken! Ho hum, another recipe for oven fried chicken…but not so fast my foodie freinds! 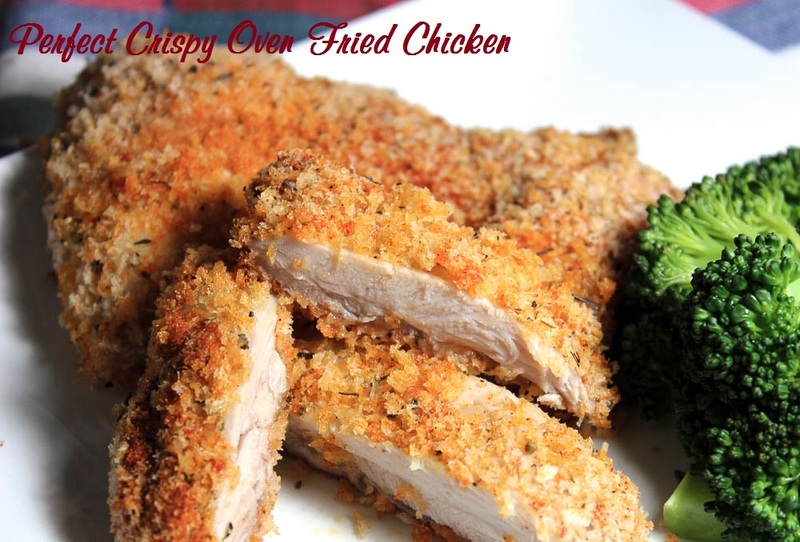 My oven fried chicken recipe can beat up your oven fried chicken recipe! What makes mine so perfect you ask? Buttermilk. Not the kind you find next to the weird milk products in the dairy case, but the kind you make at home, out of milk and vinegar…that’s it. Milk + Vinegar = Buttermilk…it’s genius I tell you! You can use it in all recipes that call for Buttermilk, perfect for baking! 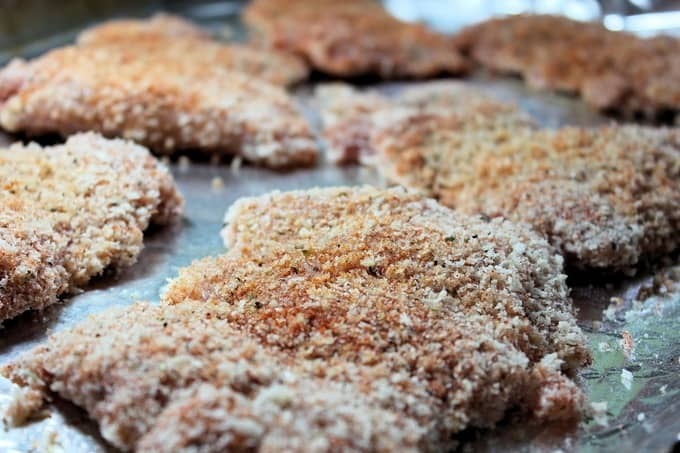 Other secrets to perfect oven fried chicken: Panko crumbs, smoked paprika and chicken thighs…leave the breasts in the freezer! ( killing me to not say something really stupid right now….). Preheat oven to 400 degrees (use convection feature if you have it). Line a large cooking sheet with foil to minimize cleanup. Spray heavily with nonstick spray. In medium size shallow dish, mix milk and vinegar and let sit for a few minutes. You will notice the milk will begin to curdle and that’s what it’s supposed to do. 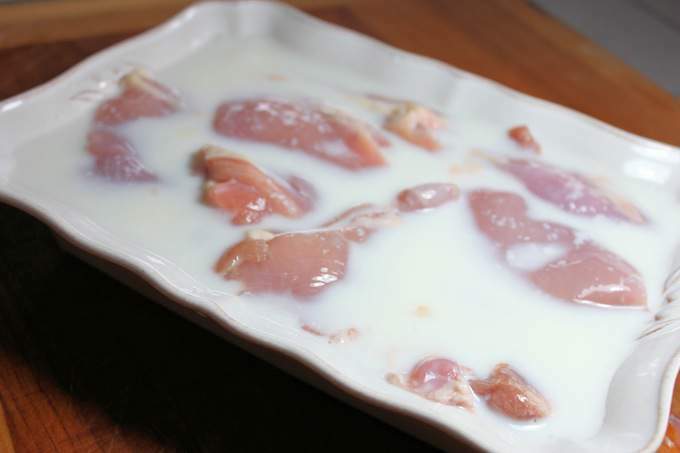 Add chicken to buttermilk , let it marinade for about 15 minutes. 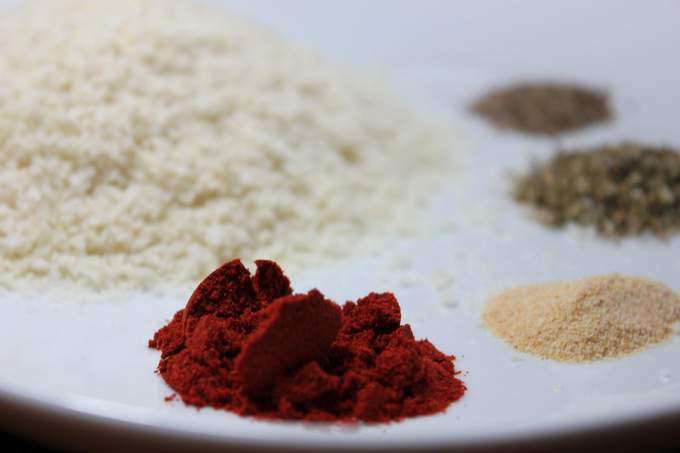 In a ziploc baggie, mix together Panko crumbs, paprika, oregano, salt, pepper and garlic powder, set aside. Add chicken to Panko crumb mixture, pressing the mixture into the meat so it is nicely coated. Place on prepared cooking sheet. Spray additional cooking spray on to chicken. This will help it get a bit crispier (is ‘crispier’ a word? If it isn’t it should be!). Bake for about 25-35 minutes until lightly brown. 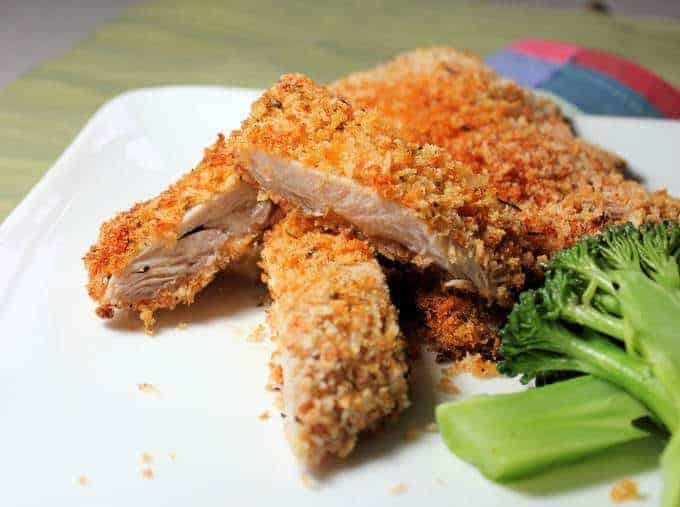 This is where the chicken thighs vs. chicken breasts come in handy…even if you cook a little longer to let the crumbs brown, you will still have moist, yummy, crispy chicken! i’ve only got the boring old breadcrumbs on hand will they work or do you have to use the panko? I think boring bread crumbs will work just fine 🙂 But next time you are at the store, grab a package of Panko and start using them. You will be surprised how crispy they make things. They are so popular anymore, you can usually find them right next to the regular old boring bread crumbs 🙂 Thank you!